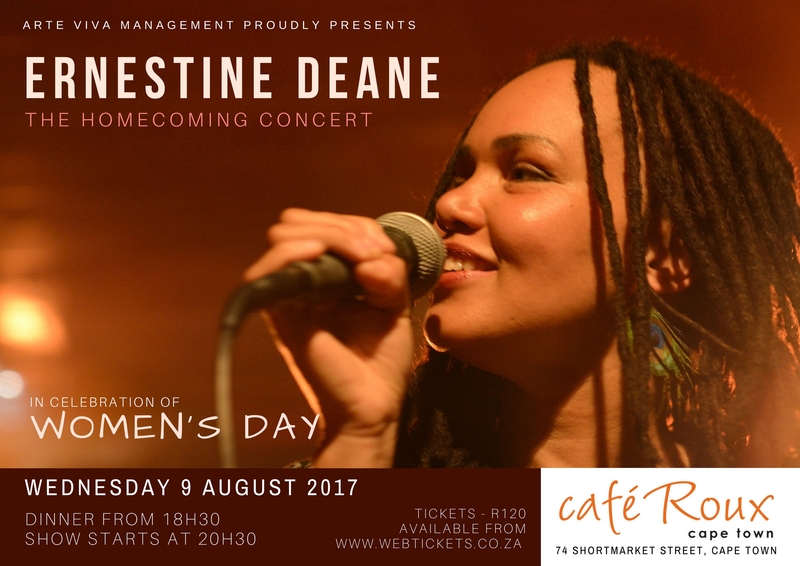 Local songstress Ernestine Deane will celebrate her homecoming on Wednesday 9 August, with her first full length concert in the Mother City since her return from Europe in 2016. She will feature an all-female band in honour of Women’s Day, playing the chilled, uplifting grooves that she is known for, all overlaid with her distinctive emotive vocals. After launching her career with legendary hip-hop group Black Noise, Ernestine went on to join the iconic SA band Moodphase5ive. They were the first act signed to the revolutionary ‘90s indie label African Dope, who then signed Felix la Band as their second artist. Moodphase5ive headlined festivals and events around the country, while also supporting international acts such as Jazzanova in Prague, Asian Dub Foundation at Womad, and the Ninja Tunes tour with Amon Tobin in SA. Fans who loved her music with Moodphase5ive can look forward to some reworked classics from that time, whilst Ernie will also showcase some brand new, never released material, and tracks from her debut solo album, Dub for Mama. Ernie has a deep commitment to working with and showcasing female artists, and the band for this first concert will feature rising young talents Nobuhle Mazinyane on keys and Tiana Marwanqana on electric bass, with stalwart Terryl Bell on drums and Carly Naute on violin. Ernestine Deane will perform on Wednesday 9 August at Café Roux in Shortmarket Street, Cape Town. Booking is highly recommended. 9 August 2017 at Café Roux, 74 Shortmarket Street, Cape Town. Doors open for dinner from 18h30, show starts at 20h30.